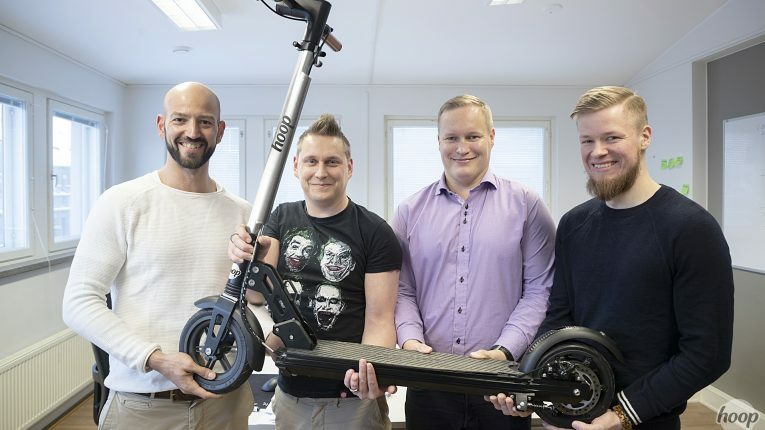 (left to right) Hoop founders Khalifa Laaksonen, Jerry Jalava, Ville Väätäinen, Tony Kuitunen want to offer zero-emission alternatives to private motoring. Move over cars, here come electric scooters. Finnish startup Hoop has made them more durable, sustainable and city-friendly. Jerry Jalava is on a mission. 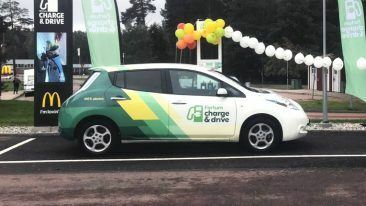 The Hoop founder wants to reduce private motoring by offering zero-emission alternatives for short journeys. His first venture? Sustainable electric scooter sharing. The service, also called Hoop, is already available in Dubai and will launch soon on Jalava’s home turf of Helsinki. 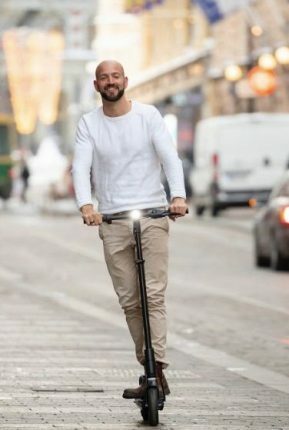 “Our e-scooters act as an extension of public transport and offer a fun, convenient and environmentally friendly way to move from one place to another,” he says. Hoop isn’t the first company to jump on the e-scooter market, but it knows how to stand out in two key ways. The first is avoiding the chaos of scooters being left everywhere. Like most rivals, Hoop does offer a dockless service, and the scooters are found and unlocked using the Hoop app. But to incentivise users to keep cities tidy, the company has created Hoop Stops. 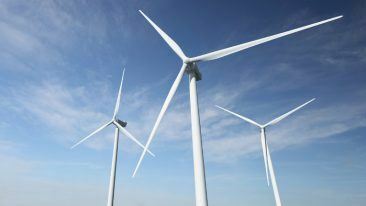 Hoop also believes it can stand out through environmental responsibility. According to some estimates, the average lifespan of a shared scooter is just 28 days. This is because most scooter-share companies use vehicles designed for consumer use. Despite its success and business model differentiators, Hoop is a relatively young company. Launched in the summer of 2018, the company was inspired by a visit Jalava paid to Santa Monica, the US, in 2017. His trip coincided with scooter sharing launching in the city. The dockless business model divided opinion and spurred Jalava to think about how to make it more sustainable. Hoop’s operations began when Jalava found like-minded co-founders in Ville Väätäinen, Tony Kuitunen and Khalifa Laaksonen. By early March 2019, the service had launched in Dubai. Helsinki will follow in a month or two and additional cities in the Middle East and the Nordics later in 2019. But why couple Dubai and Helsinki? 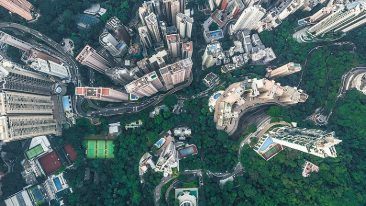 These two unlikely bedfellows have one surprising compatible business connection: climate. During the rough Nordic winters, Hoop can move its fleet to the Middle East then return them in the summer when demand in the Middle East drops due to extreme heat. Hoop’s relationship building in the region has paid off. 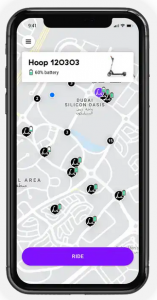 Dubai’s Silicon Oasis district has decided to build a bike and scooter route network across the whole city to support services like Hoop. And Jalava believes close working ties between cities and mobility companies is crucial. 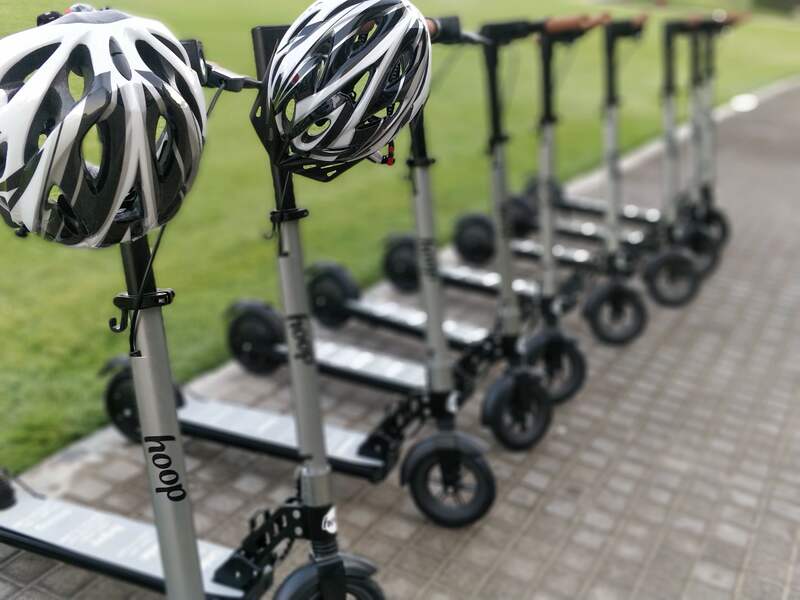 Hoop’s electric scooters launched in Dubai in early March. Helsinki will follow as the spring weather arrives in the Nordics.